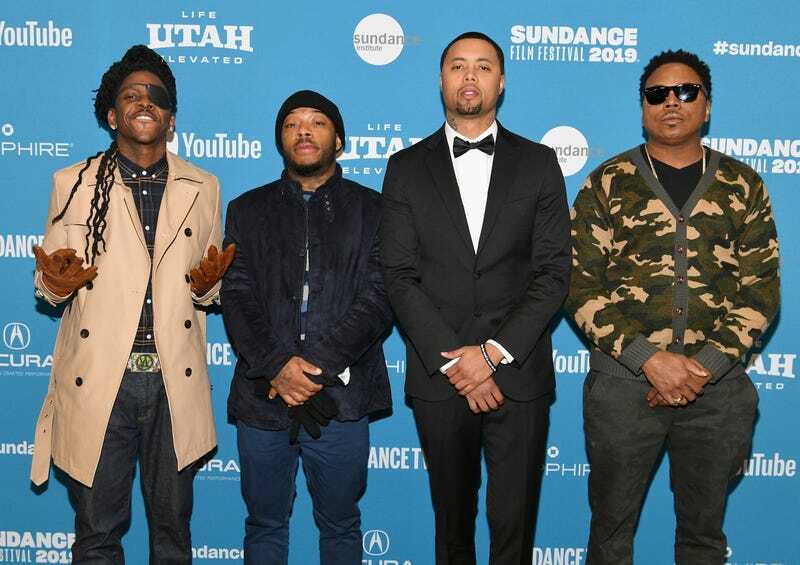 (L-R) Isiain X, Antoine Redus, Jamal Trulove, and Willie Hen attend the ‘The Last Black Man In San Francisco’ Premiere during the 2019 Sundance Film Festival at Eccles Center Theatre on Jan. 26, 2019, in Park City, Utah. A San Francisco man will receive a $13.1-million settlement after being framed by police and spending years in prison for a 2007 murder he did not commit. As a young man, Jamal Trulove was tried and convicted in the killing of his friend Seu Kuka in a San Francisco housing project. A state appeals court overturned the conviction in 2014. Trulove was acquitted in a retrial in 2015. NPR reports that in 2016, Trulove sued the officers involved, and a federal jury determined that the two lead homicide inspectors on the case, Maureen D’Amico and Michael Johnson, not only made up evidence against Trulove but withheld evidence that would have helped him. On Tuesday, San Francisco’s Board of Supervisors unanimously approved a $13.1-million settlement for Trulove. CBS News reports that he accepted that in exchange for the city’s dropping its appeal of the $14.5 million in damages he was awarded by a federal jury in Oakland last year. Of course that’s not nearly enough, considering the emotional distress Trulove faced, including, in his words, “the fear from the time you get up ... the daily humiliation” and the four years he spent without visits from his family because he was held in a remote location, according to the San Francisco Gate. SF Gate reports the jury found that detectives showed an eyewitness a single photo of Trulove rather than presenting the person with photos of other people as part of a lineup. Other evidence showed that the detectives were aware of another suspect whom they did not investigate. No surprise here: The four officers named in Trulove’s lawsuit have retired. No officers were disciplined for their roles in the case, according to his lawyer. However, Trulove recently got on Twitter to say that he’s not finished with these “cowards of the law,” not by a longshot. This year, Trulove appears in the movie The Last Black Man in San Francisco, which was shown at the Sundance Film Festival, and scheduled for a wider release in June.